The 466 bus passes the door with a bus stop close to the church. Car parking is in surrounding roads. 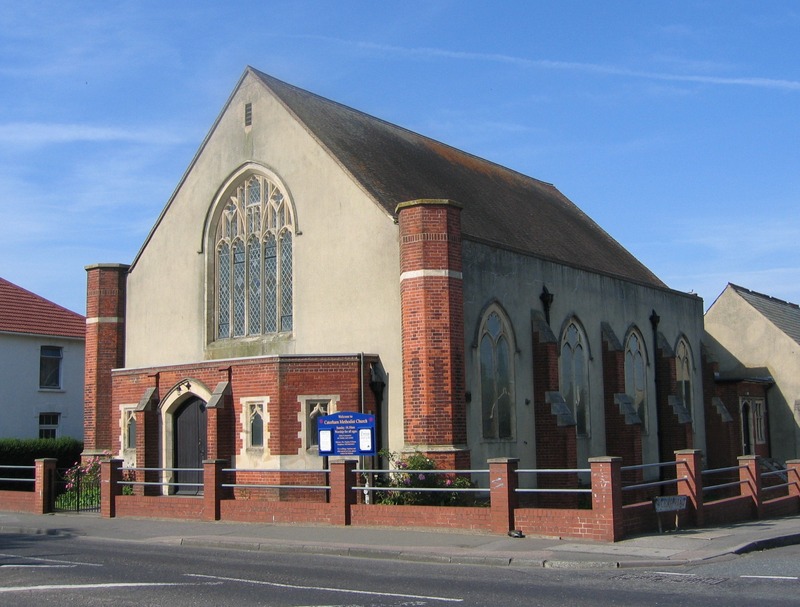 Caterham Methodist Church is situated on a main road, in a residential area with several housing developments nearby. It is a multi-purpose building. The church is small, with a mainly elderly congregation, but on most Sundays we have a small number of children worshipping with us. It was established in the early 20th Century as a base for non-Conformist soldiers at the Caterham Barracks. (Those are now closed - and converted into a residential area called "The Village"). First to be built were the "rest rooms" for the soldiers, followed by a traditional non-Conformist chapel. The building became an ordinary Methodist Church many years ago, and underwent a significant re-casting in the 1990s. The "rest rooms" are now on a Lease to Saturn V Gymnastics club, who do important work with people with learning difficulties. The "Church" became a multi-purpose space, which is very well used throughout the week. Our worship follows a mainly traditional style, but we have a mix of traditional and new hymns. The first part of the service is geared to the young members of our congregation, with a suitable song, and talk or activity that caters for them. From time to time we hold an all-age service. We provide a Sunday School and the children will normally leave us for the rest of the service except when there is all-age worship. Holy Communion - one Sunday per month. All-age worship - occasionally.